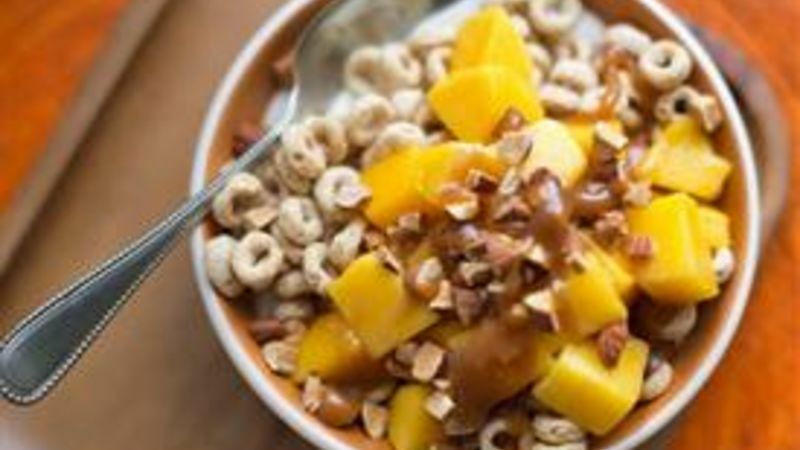 Silky Yoplait yogurt, Cheerios, and juicy sweet mango, tangle with a drizzle of mouthwatering caramel, a handful of nuts, and a pinch of sea salt. It’ll feel wrong that it tastes so good. 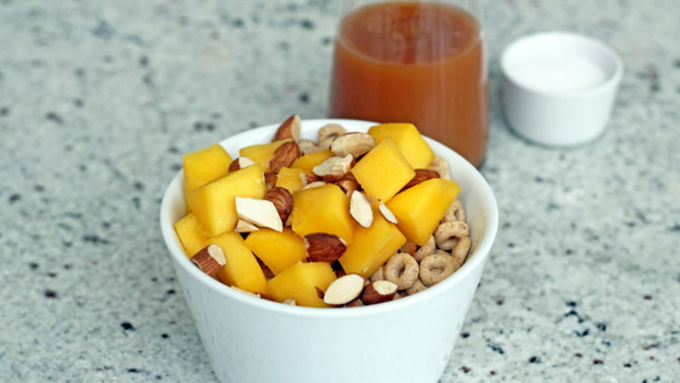 Are you ready to start your day? Gather your ingredients. 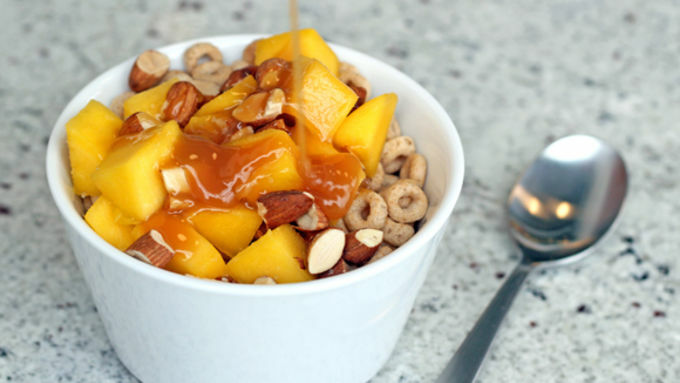 Spoon yogurt into bowl and top with cereal, mango and almonds. Drizzle with caramel; sprinkle with salt. Serve immediately.